The Biokube has an EN 12566 Certificate for septic tank conversion. The 'in-tank' septic tank conversions do not qualify for Environment Agency Exemption Certificates. Most manufacturers systems will satisfy all of the above. Biokube sewage treatment plants are different. Almost all septic tank conversion systems have NEVER been tested at all and are not acceptable to the Environment Agency. 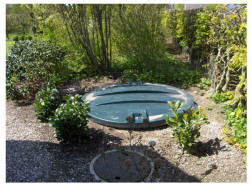 In-Tank septic tank conversions are not acceptable and will not get a Permit from the Environment Agency. Biokube sewage treatment plants clean sewage to an "Elite Standard" of less than 10mg/l BOD, less than 15 mg/l Suspended Solids and less than 5 mg/l ammonia, guaranteed. Check with other suppliers and they will quote a 20:30 level of treatment as standard. (And then it will only meet it a percentage of the time.) The elite level of treatment from our system enables the water to be re-used for garden drip irrigation if required. We offer phosphorous removal as an option on our treatment plants. If you intend discharging to a pond you will want to reduce phosphorous to stop algal blooms in hot summer weather. The Biokube treatment system uses a separate settlement tank or existing septic tank, so it does not have problems with blockages due to tampons, wet wipes, etc. Other manufacturers will tell you that the offending item should not have been put into the toilet. The Biokube processes sewage using a unique timed batch system. This means that sewage is processed 24hrs per day. Most other systems only treat the sewage as it arrives in the tank. The Biokube has a patented recycling system to remove smells. The "Bad Egg" septic tank smell will not occur in a Biokube system. Installing one of our wastewater treatment systems is low risk, high gain. We might not be the cheapest system on the market, but our guarantee means that you get peace of mind that at the end of the day, your plant will work to the highest standard and not pollute the environment. All we ask is that you get the settlement tank or septic tank emptied and the plant serviced once a year. Very simple and straight forward. The Biokube sewage treatment plant is the answer. We guarantee it. Will you guarantee that the quality of the effluent coming out of the sewage treatment system will meet our discharge consent? Does your septic tank conversion have an EN 12566 Certificate? Will your septic tank conversion treat to less than 5mg/l ammonia? Can your sewage treatment plant system remove phosphorous? 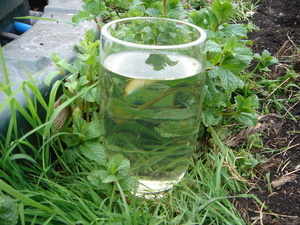 Can I add your plant to my existing septic tank? How long is your tank warranty? Will your sewage treatment plant or septic tank conversion block up if strange things are put down the toilet, nappies, towels etc.? Who maintains and services your plants? We think you will be surprised at the answers. Please be aware that not all package sewage treatment systems treat sewage to the same degree. The Biokube system is very effective at treating sewage, often better than required by most discharge consents. They are not all certified to BS EN 12566 either. Make sure you insist that the system you are purchasing is certified and tested to this new European Standard. Have a good look around the rest of our website. There is a mass of information here to help you in deciding whether our sewage treatment system is going to suit your requirements. If you are looking for the cheapest septic tank conversion or sewage treatment plant you can buy then this will not be the right place for you, but if you want an effluent quality that is guaranteed, then BioKube is the only one for you. If you want to know more, give us a call. Let us ask you about your requirements and we will find a solution. There are no prices on our website for a simple reason: Each and every sewage treatment plant or septic tank conversion system we sell is tailored to your individual requirements. Until we know what they are we can't price the system. Each and every installation is special to us. There are many homes in rural areas of the country that do not have access to mains drains and therefore need a clean, efficient alternative to deal with their sewage. The BioKube is the perfect solution for your failing septic tank, offering low running costs, minimal maintenance and easy installation. Once in place it is unobtrusive and the quality of the final effluent is guaranteed. The septic tank conversion is usually completed within a single day. If you don't have an existing septic tank, then we can supply a Crystal Septic Tank which is designed to work with the BioKube. Although the BioKube can be installed in less than a day in many cases, our customers obviously want to be sure they are purchasing a high quality unit that will give them many years of trouble free service. The design of our treatment systems means that they only need an average of about an hour's maintenance every year. They are built to be as quiet as possible and the linear compressor that is used in all our septic systems is almost silent when running. The BioKube with a 15 year guarantee and is manufactured to a very high standard to ensure structural integrity on all our units. All models are certified as being fully complaint with the relevant European standards and even as a septic tank conversion can achieve 5mg./L Ammoniacal Nitrogen in the final effluent(four times cleaner than the UK standard), so can be bought and installed with complete confidence. Because the BioKube produces a guaranteed effluent standard that is far higher than the UK standard, you can be safe in the knowledge that even if the UK raises the standard required, your sewage system will still comply. Because it has the EN 12566 Certificate as a septic tank conversion unit, it is fully compliant with the future EPP2 regulation requirements. BioKube sewage plants and septic tank conversions are serviced and repaired by Sapphire Environmental Ltd.